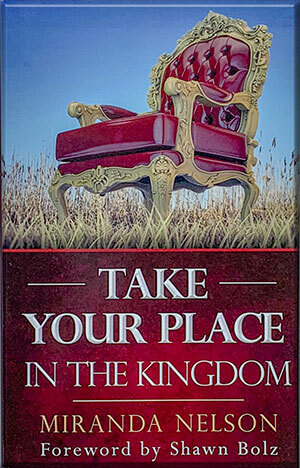 Elijah Streams: Take Your Place in the Kingdom! • Find out what happens when you live inside of God's fire and glory and what makes you untouchable to the enemy! • Understand how YOU can be a part of the company of burning ones — who powerfully carry the torch of His love to a lost and dying world wherever you go. • Understand God's authority and power that is available for YOU in this hour. • Receive keys to unlock your supernatural destiny in Christ. I encourage you to WATCH this powerful episode from Jerame & Miranda Nelson and then order their products below that we put together JUST FOR YOU — our Elijah Streams viewer. 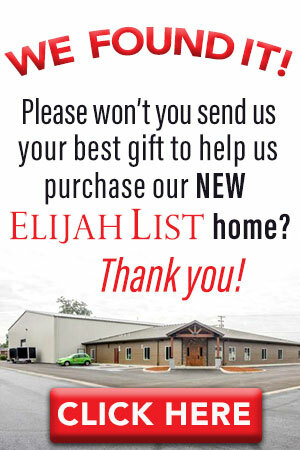 To view and order their products click here! 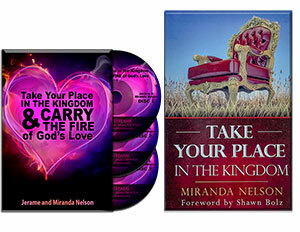 Call NOW to order Jerame and Miranda Nelson's BOOK PLUS THREE-CD set called, "Take Your Place in the Kingdom and Carry the Fire of God's Love"
Miranda Nelson's book: "Take Your Place in the Kingdom" and 3-CD set by both Jerame and Miranda — which will help you to receive everything God has for YOU regarding the supernatural and His power! Miranda Nelson explains WHY the fire of God hasn't touched many Believers' lives and what You can do to set your life on fire—for Him and His purposes! Jerame Nelson teaches about the fire of God’s wisdom and revelation and the impact this will make upon Your life. And WHY the Church is going to receive a powerful, fresh anointing of wisdom and revelation along with essential keys to burn brightly.